Heavily scavenged it was just possible to read the "REAT LAKES" on the remains of the Great Lakes Theater on Grand River. When I returned here for detail shots, it was quietly gone. 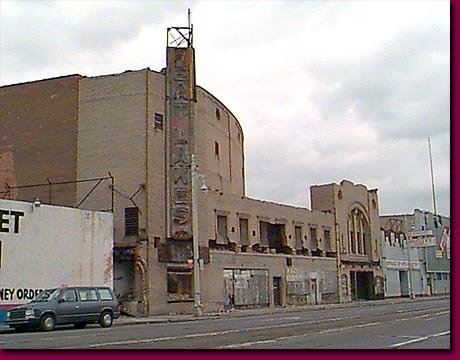 Further up Grand River was the Great Lakes Theater. Ravaged and abandoned for decades, it fell in early 1999.